Many people have an image in their mind when they think of motorcycle clubs – and it isn’t always positive. One group of motorcycle enthusiasts aims to change that perception. “Our club operates similar to the clubs founded in the forties,” David Little explained. “Traditionally, a club founded from a group of like-minded people who want a brotherhood and ride motorcycles”. In an effort to differentiate themselves, several club members started a new nationwide club called, Defiant Crew Motorcycle Club. While they kept the goal of brotherhood and riding, they also wanted to add a community service aspect to the club. 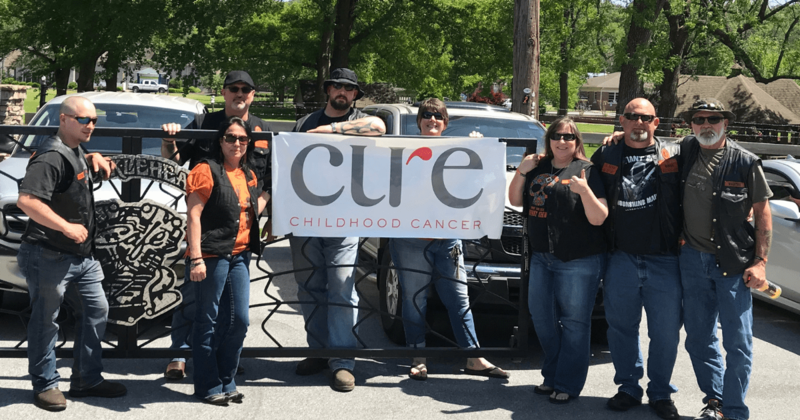 To fight back, the Georgia chapter of Defiant Crew MC created an event called Bikers Battling for Kids. On April 27, 70-100 bikers will gather at the Knucklehead Café in Rockmart for a poker run. From there they will ride to a park in Cave Springs, then to Sixes Tavern in Cartersville, and finally to Bikers Gone Wild in Dallas before returning to Rockmart. The loop is approximately eighty miles and at each stop they will draw a card. When everyone finishes they will each have a hand to play and the winner will receive a prize. In the five years they’ve been making this run, they have raised over $25,000 for CURE. The event is quite organic – they literally knock on doors to get items for auction and spread the word of the poker run through word of mouth and signs placed at locations bikers frequent. If you’d like more information about riding in the event or donating an item for auction, please click the button below. And if you would like to do something you love to benefit CURE, click to see how you can host a fundraiser in your community. Diagnosed with Acute Lymphoblastic Leukemia (ALL) at just six years old, 15-year-old Robert’s childhood has been consumed by cancer. In the eight years since his diagnosis, Robert has endured 800 rounds of chemotherapy, 65 spinal taps, and countless surgeries trying to beat his cancer. It’s been an arduous fight! But Robert is such an incredible boy and has earned his nickname, Robert the Great. 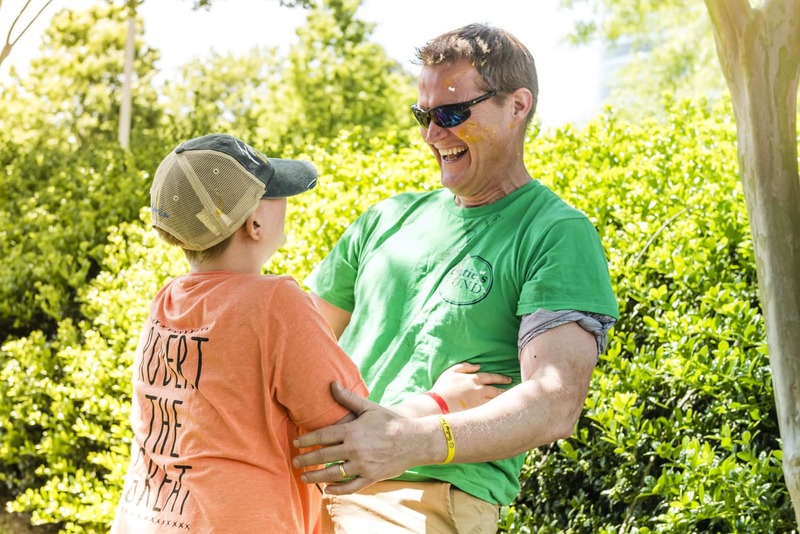 There is one event Robert looks forward to every year – Lauren’s Run and the CURE Childhood Cancer Annual Picnic. 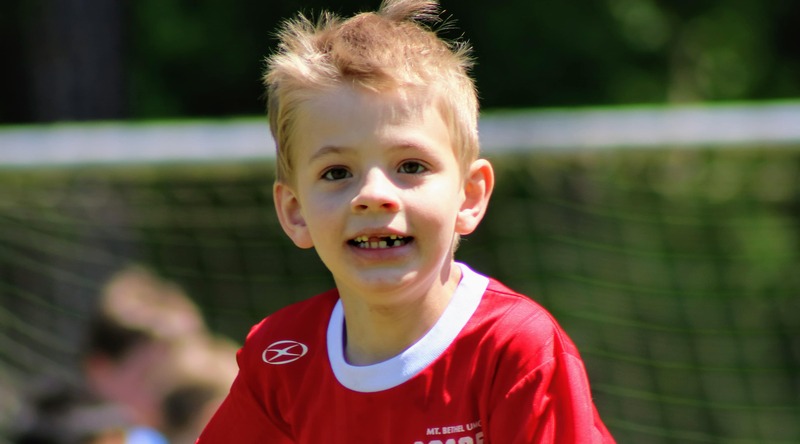 Each year he creates Team Robert the Great and raises money to fight for kids like him. Having won the award for top fundraising team several years, Robert is a pro when it comes to inspiring people to give. We sat down with Robert to ask him to share the secrets of his success. CCC: How many years have you been doing Lauren’s Run? CCC: How do you build your team? RTG: We ask family and friends to come. Most of them agree, and if they can’t they always donate. Last year we had around forty members on our team, and we won the team spirit award. CCC: How did you win that? RTG: My mom and her friends are loud. CCC: You also won the fundraising award last year. Tell me how you did that. RTG: We ask people for money. If I ask, they’ll usually give something. It’s hard to ask and ask, so we tried to make it a game. My mom shared the page on Facebook and then we started doing funny videos. I told everybody I would smash my dad’s X-box if we got to $10,000. CCC: Did you get there? RTG: Yup! Then I challenged another team captain. Whoever raised the most would get to throw an egg at the loser. CCC: That looks like more than one egg. RTG: It was a dozen, I won by a lot. CCC: What else do you like about Lauren’s Run. RTG: I love seeing all my friends I’ve met since I been fighting cancer. And I love the picnic too. There is great food, games to play, and oh yeah, and the game truck is awesome. CCC: Any plans for this year? Robert is a fierce competitor in his fight against cancer and his goal of repeating as fundraising champion. You can join Robert, create a team, and work to end childhood cancer with us. Who knows, if things get competitive, Robert might challenge you! 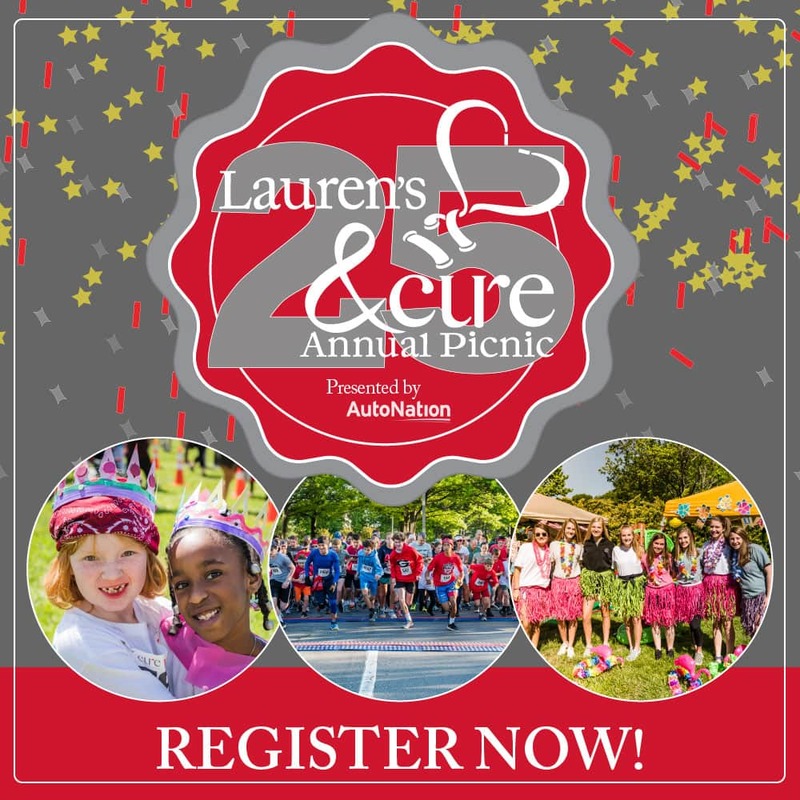 This year marks the 25th Lauren’s Run and the CURE Childhood Cancer Annual Picnic. We are celebrating this incredible milestone on April 28 at the Concourse Office Park in Atlanta. 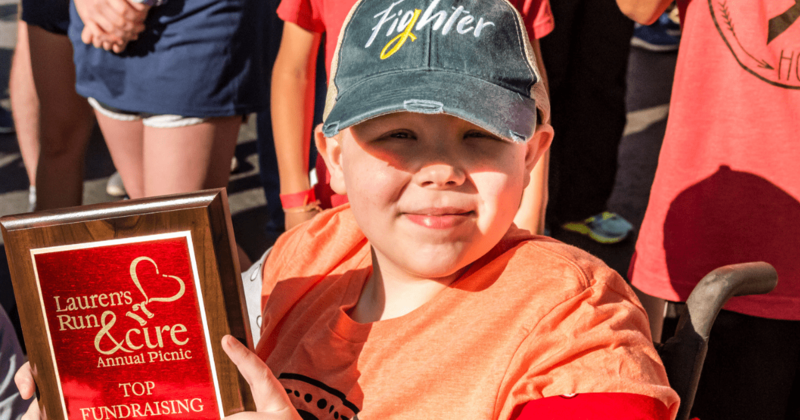 Over the years, thousands of families have gathered to walk and run in support of CURE, raising more than $4.1 million for lifesaving pediatric cancer research. 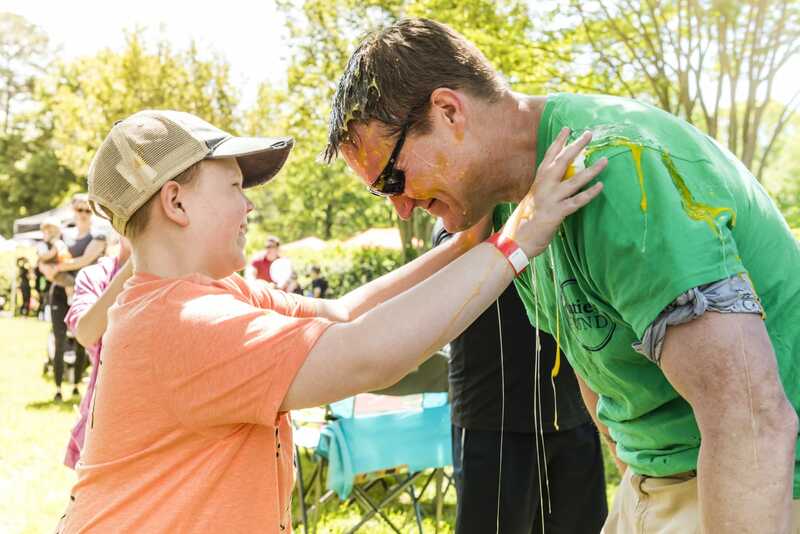 Lauren’s Run and the CURE Childhood Cancer Annual Picnic truly brings the community together, with families, schools, and companies forming teams to support our fight. After the race, Lauren’s Run participants, as well as families diagnosed with childhood cancer, join together for the CURE Childhood Cancer Annual Picnic. The picnic is a day unlike any other! Dozens of games, prizes, elaborate face painting, enormous inflatables, music and dancing, arts and crafts, a full lunch, and so much more. Many people want to play basketball at an elite level. But only a few possess the necessary talent, and most wouldn’t be willing to put in the work required to get there. As all eyes turn to the NCAA and March Madness, one young lady will watch a game or two only if her workout schedule allows it. Basketball has always been Bailey Moody’s favorite sport. 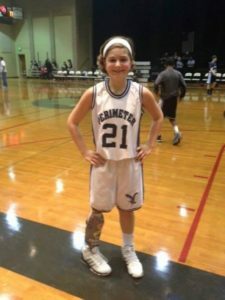 After bone cancer forced a partial amputation of her right leg when she was ten years old, she wasn’t sure if she would be able to continue to play. 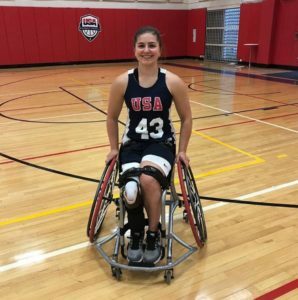 Then she discovered wheelchair basketball. 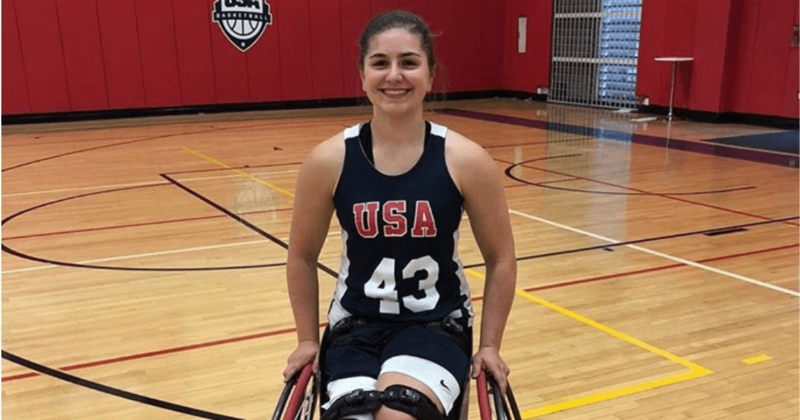 Bailey made the U.S. National Women’s Basketball Team last year at 16 and was one of the youngest players on the team. While she enjoys the travel, it has been incredibly hard work. Globetrotting sounds glamorous until you hear her training schedule. That’s a lot of work – especially considering that Bailey is a junior in high school and has other interests. Bailey had to stop participating in theater this year, but she still manages to keep excellent grades, lead in student council, and play guitar and piano in two bands – one at school and one at church. Is there anything this girl can’t do well? But it is paying off. She’s currently looking into college and knows she wants to continue playing ball. She also wants to help CURE put the full-court press on childhood cancer. Don’t pick who everyone else is picking. Don’t pick all number 1 seeds – crazy things always happen. If you have a toss-up, pick your favorite uniform color. You never know! 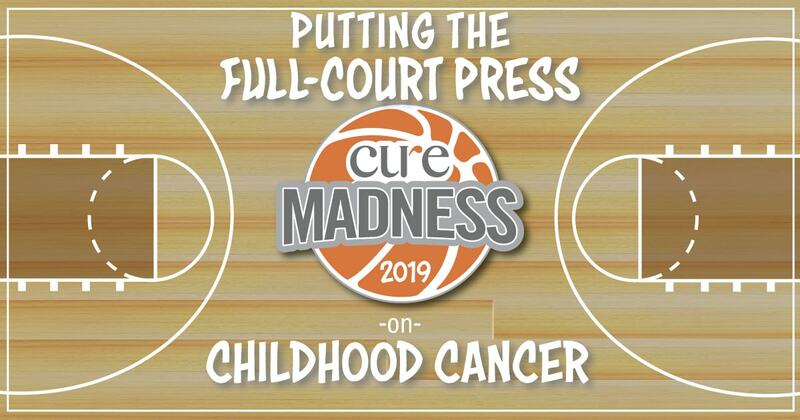 Join Bailey for CURE Madness by signing up today. Many people go their entire lives without discovering the things of greatest value. Others have experiences which teach them what is important, and some seem to be born with keen intuition. Christopher Wessels finds great value in the “diamonds” he collects. But the most important thing to him isn’t hoarding his gems, he prefers putting them to work for others. He has spent some additional time in the hospital due to asthma but is doing great today. He is a part of the survivorship program which entails an annual scan to make sure he remains cancer-free. This freedom from treatment has given him more time to pursue his precious diamond collection. Christopher sometimes gets caught smuggling them into the house, and many of the precious stones that make it home go through a special cleansing process along with the rest of his laundry. A six-year-old often forgets to empty his pockets. Christopher mines these treasures all over the place: friends’ yards, city parks, and family vacation destinations. Rarely a day goes by when he doesn’t spy at least one diamond on the playground at his school. Once he gets his diamonds home, they join a display he has created in his playroom. These diamonds are extremely valuable to this avid collector. Far more valuable than that, however, are the lives of the young children who, like Christopher, are at risk due to childhood cancer. When he learned he could help other children facing cancer by selling his coveted diamonds, Christopher willingly agreed. 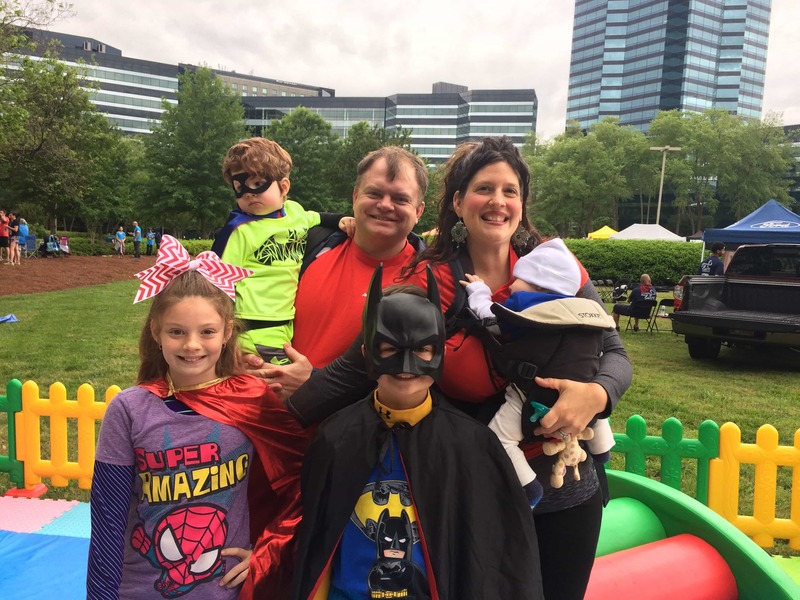 Christopher’s family created a team at CURE Childhood Cancer’s annual Lauren’s Run. Team Courageous Christopher sent letters and emails offering his diamonds in exchange for a donation. 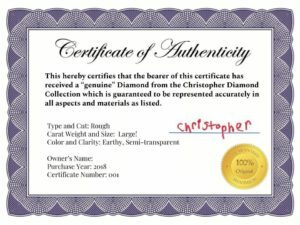 Each diamond came with an original certificate of authenticity. His supporters immediately recognized Christopher’s passion and the value of such a prized collection. Orders and donations began pouring in. The Wessels took time off for a family spring break trip where Christopher admitted to feeling some pressure. At a souvenir shop he showed his mother a bag of diamonds he needed to buy out of concern for the high demand that was outpacing his stock levels. In the end, Christopher fulfilled all of the orders, and his team finished as one of the top fundraising teams at Lauren’s Run with an amazing total of over $11,000! Christopher is already prospecting for new “diamonds” to replenish current inventory levels for his collection. Whether it was through his experience with cancer or just in his nature, this six-year-old has a keen eye for what is truly valuable in life and is an example for all. 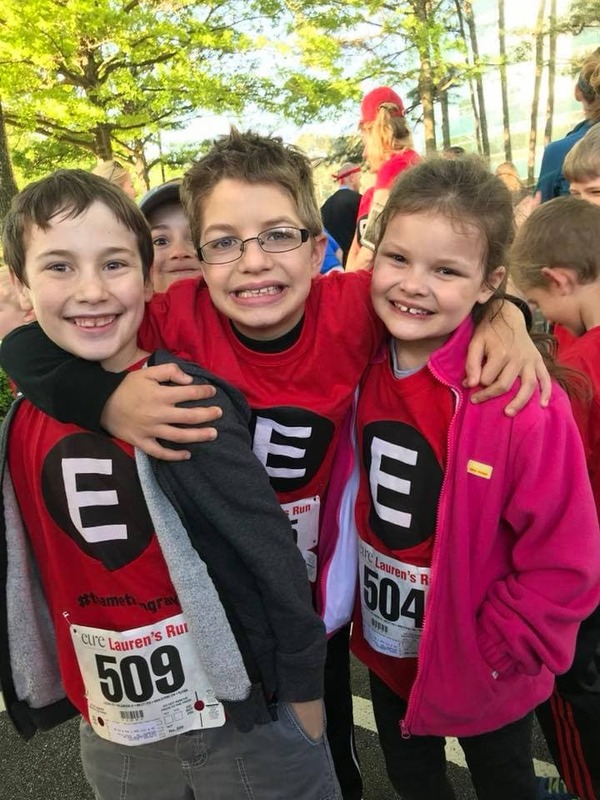 If you attended Lauren’s Run and the CURE Childhood Cancer Annual Picnic, you saw people in bright red shirts marked with a big “E”. In fact, you could hardly keep from stumbling into them because they were everywhere! The E stands for Ethan, and his team is called Team Ethan Gray. Ethan was a very healthy child until his parents noticed something odd. Just before his eighth birthday, he began showing the characteristic signs of puberty. Ethan has been receiving weekly chemotherapy treatments since November and will continue to receive treatment until February 2019. Initially the chemo was very hard on him. He was incredibly nauseous, and nine weeks into treatment, he had a terrible allergic reaction which caused doctors to switch chemo. His body is handling this new chemotherapy much better. The good news is that Ethan’s latest MRI revealed no new growth in his tumor. Hopefully the tumor will now begin to shrink. Team Ethan Gray is certainly pulling for him. 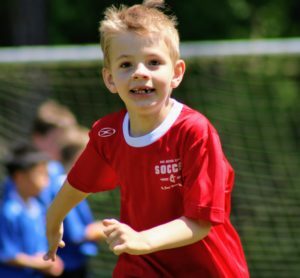 His team began to form early in his treatment. Ethan has always been a helpful boy. During his initial hospital stay, he and his family saw the great needs of other families in treatment. Together they decided to start the Team Ethan Gray t-shirt campaign and began selling them online. All of the donations received benefit the Patient Emergency Relief Fund at Children’s Healthcare of Atlanta. Thus far, shirt sales have raised close to $10,000! They also help Ethan. When friends, family, and even strangers wear the shirts and post a picture he can see, it lets Ethan know that people are on his team. The shirts also came out en masse at the 2018 Lauren’s Run, where the team boasted a whopping sixty members. They weren’t a quiet faction either. Team Ethan Gray had a blast and walked away with the Team Spirit Award. They also raised more than $7000 to further CURE’s mission. Ethan loved Lauren’s Run, too. He wanted to walk the 5k, but after about 2 ½ miles, he started hurting from the chemo. One of the side effects of his treatment involves his nervous system. His feet started tingling and hurting which made him stop for a few minutes. But he was determined to finish – and he did! Ethan has big plans for the future. He wants to start a “Kid Clean-up Club” that will empower kids to help clean up garbage and plastic from parks, roads, and oceans. With the army of supporters he’s already built, don’t be surprised if you see Team Ethan Gray in red shirts cleaning the side of the road near you. If you arrive between 7:45am and 8:10am, or 9:30am and 10:00am, you may be impacted due to the 5K or 2K races. Take I-285 North/West to Exit 28 (Peachtree-Dunwoody Road) and turn right. Proceed to the first traffic light and turn left into the Concourse Office Park. Follow signs to parking decks 1 and 4. Take GA 400 South and exit at Hammond Drive. Turn left off the exit ramp onto Hammond Drive. Go to 2nd traffic light and turn right into Concourse Office Park (adjacent to Kindercare). Take 1st right and park in parking deck for Buildings 5 and 6. Take GA-400 North to the Glenridge Connector (Exit 4A). Turn right at the end of the ramp onto Glenridge Connector. Proceed to the second traffic light, and turn left onto Peachtree-Dunwoody Road. Proceed north on Peachtree Dunwoody Road to the 6th traffic light (2nd traffic light after going under I-285bridge) into Concourse Office Park. Follow the signs to parking decks 1 and 4. Take I-285 North/East to Exit 26 (Glenridge Drive). Turn left at the end of the ramp onto Glenridge Drive. Proceed to the 4th traffic light and turn right on Hammond Drive. Continue to the 4th traffic light and turn right into Concourse Office Park (adjacent to Kindercare). Take the 1st right and park in parking deck for Buildings 5 and 6. When April rolls around, the Fenchak family will be preparing for another big day at Lauren’s Run & the CURE Annual Picnic. It’s gotten to be old hat for them since this will be the eighth time they’ve participated. The first time they entered, their son, Jackson, was only two years old – and he was fortunate to be there at all. When he was nine months old, Jackson began to develop bruising around his eyes. His parents also noticed that he perspired more than normal. Exams by doctors revealed nothing until he was about to be sedated for an MRI. A routine check found his blood pressure to be 160/110 – almost triple the norm for a child under a year old. This concerned his medical team and rightly so. 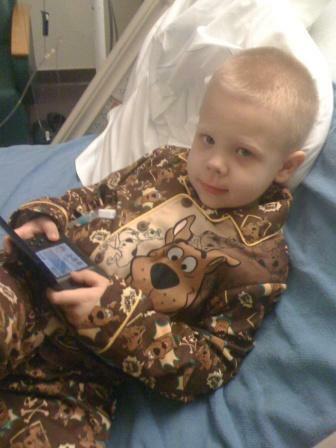 The MRI and ultrasound revealed a tumor the size of a soda can in Jackson’s abdomen. The tumor ended up to be neuroblastoma. Making the diagnosis even worse, the tumor had metastasized to his eyes and that was the source of the bruising. Doctors told his parents that surgery was not an option because the tumor was wrapped around his aorta. But after chemotherapy proved unsuccessful, surgery became his only option. Finally, after fourteen long hours, the surgeon came out and said they got 97% of the tumor. She considered that a great success. Chris is a pharmacist who had worked at Children’s Healthcare of Atlanta and knew many of Jackson’s physicians. Jackson began to improve and soon was thriving like any other toddler. 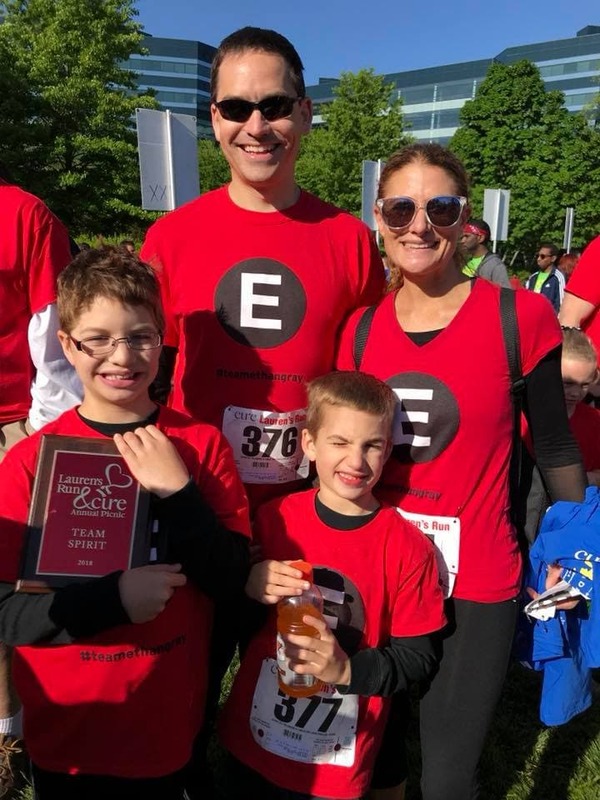 After living through the cancer diagnosis, the Fenchak family felt a strong desire to give back. 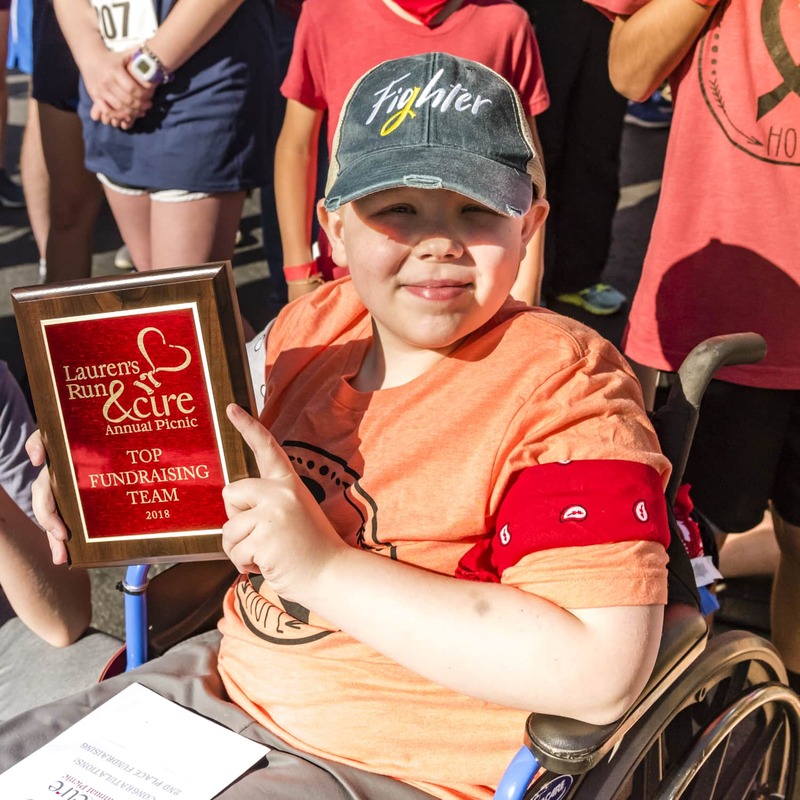 They first explored starting their own fundraiser until they discovered CURE’s Lauren’s Run and learned that the Laurens for whom the event is named both fought the same cancer as Jackson. It seemed like a natural fit. Jackson is a thriving ten-year-old now. He loves to wrestle and play baseball. And in the seven years since their first Lauren’s Run, Team Jackson has raised over $25,000 to fight childhood cancer. They have also fallen in love with the event itself. Jackson inspires us, as does Team Jackson and the efforts of the Fenchak family. There is room for you, too! 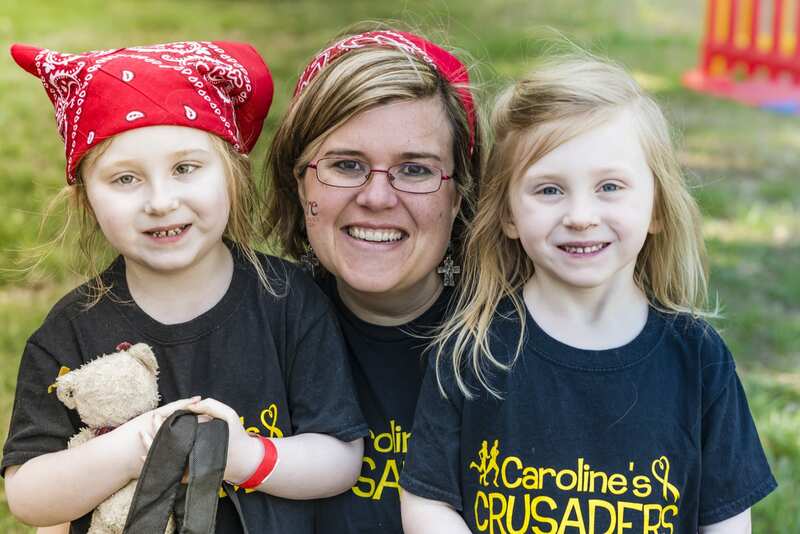 Whether you are a childhood cancer family or not, you are invited to Lauren’s Run. We would love for you to sign up, join a team, or start your own team. This event is making a difference in the fight against childhood cancer. In its 24 years, Lauren’s Run has raised over $4.1 million toward better and safer cures for kids like Jackson. For more information, please go to www.laurensrun.com and plan on joining us on April 28. 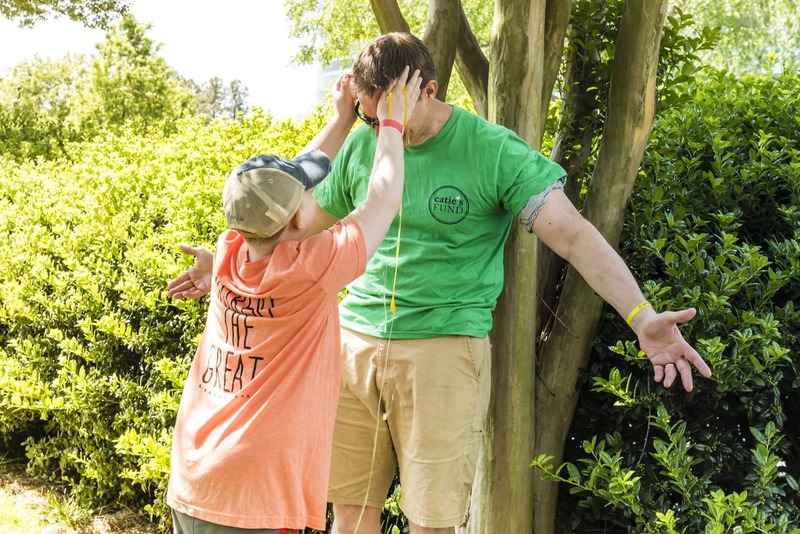 This year, Tami Arrowood, whose 13-year-old daughter Audrey battled ovarian cancer, thought it would be great to get a group of moms to spend Friday night at the InterContinental Hotel Buckhead prior to Quiet Heroes. She posted her idea on the Aflac Mamas Facebook page, and there was immediate interest. Ultimately, a group of 17 moms decided to gather on Friday. Playing on the Quiet Heroes event name, they called themselves the “Loud Heroes,” knowing they would enjoy a night of laughter and fun ahead of the luncheon. Unbelievably, an anonymous donor paid for all nine hotel rooms so the moms could truly enjoy a stress-free night away!! In preparation for the big night, one mom made homemade foot scrub for each person, another made cookies decorated with the words “Loud Heroes” and a third created “Loud Heroes” t-shirts for each mom. Friday, they relaxed by the pool and enjoyed a fun, noisy dinner together. Incredibly, on their “night off,” some of the moms took meals to families they knew were inpatient at Scottish Rite. Afterwards, they sat in the courtyard and shared stories – heart-warming and heart-wrenching – and they laughed and cried into the night. A Tribute to Our Quiet Heroes is a unique and inspiring event. A yearly luncheon, the event honors mothers of children with cancer, whose love and dedication guides their families through the storm. And it’s our way to let these courageous moms know we care about what they’ve been through and what they continue to endure. I remember that first Quiet Heroes luncheon nine years ago. I had been asked to emcee by Kristin Connor–my new friend who had left her job as an attorney to become Executive Director at CURE. She was so grateful for her son Brandon’s recovery from neuroblastoma, she felt called to give back. I’ve never felt comfortable speaking in front of large crowds, in spite of being a news anchor, but being the mom of a child who survived cancer, a Quiet Hero as it were, I felt it was a good fit. So, on that sunny Saturday, I headed to a Buckhead ballroom. I didn’t know these women for the most part, but they were smiling and motivated and actually “sunny” themselves–not necessarily what you’d expect from a group of cancer moms. A beautiful blond appeared, with a radiant smile and a big “Hello, my friend!” It was the host of Quiet Heroes, Chris Glavine. It was her idea to honor moms of kids with cancer after the brother of her son’s classmate was diagnosed, and raise money to fight the disease. I had never met her, but at that moment, I felt I had known her forever. The luncheon was beautiful, and more than that, it was special. I think everyone there felt it. 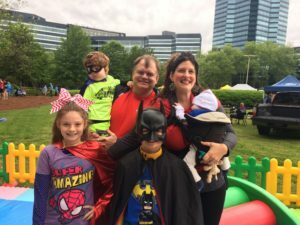 It was a new approach to fundraising for pediatric cancer, singling out the moms of these kids, thanking them for staying strong in this gut wrenching and heart breaking journey with their child, for keeping life together when their world was falling apart. That afternoon, most of the people there felt a bond. It may have been in its infancy stage, but a bond nonetheless. It seemed to be the beginning of a “sisterhood” with the women attending and the women volunteering to make the afternoon happen. The people in that room sensed this was the birth of something special, something lasting…a sisterhood of women who would always be there, no matter how difficult life became. I have had the honor of emceeing all nine Quiet Heroes luncheons. At the first, CURE honored 100 moms and raised $100,000 to fight pediatric cancer. Quiet Heroes 2013 honored 215 moms, and raised more than $375,000. The amount raised over the years has surpassed $2.5 million dollars. We have come a long way since that first Quiet Heroes, both in fighting pediatric cancer and in supporting moms and families of kids who are diagnosed. The work isn’t done. The fight continues to end pediatric cancer in our lifetime. What will never end, is the love, support, and comfort of this sisterhood of Quiet Heroes, and the people who continue to hold them in their arms and in their hearts. The event would not be possible without Jill Becker, Chris Glavine, the donors, and the volunteers. Without each and every one of them, we would not be able to provide such a wonderful event for these moms. We want to thank each and every one of them.